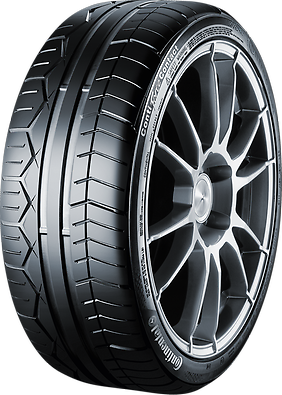 Wide stability limit with superb handling in wet conditions. Superb adhesion on dry surfaces. Wide stability limit and superb handling in wet conditions. Continental’s tried-and-tested macro-block design with sturdy lateral shoulder blocks delivers great power transmission, while the transverse grooves ensure that the tire hugs the road surface. The result is outstandingly precise steering and maximum adhesion under potential breakaway conditions. Continental’s patented “Black Chilli” compound with special high-grip resins ensures maximum intermeshing between the tire and the road surface at the micro-level. The result is superb adhesion in dry conditions and consistently fast lap times.